Candace's portfolio is a reflection of the people with whom she has worked with and the combination of homeowner-driven needs for function, and design aesthetic. The combination of these two are what make each space so unique. She weighs all options and comes up with the best design solutions to fit the needs of each client. She helps set priorities, solves design challenges and provides expertise and guidance through the decision making process. Candace is committed to design excellence and client service, and believes in an open exchange of ideas through a collaborative process. Collaboration, combined with open communication between the client, designer and contractor are key for a successful project outcome. Candace pushes creative boundaries, and has a discerning eye for the details. She makes sure to stay in connection with what is current by attending national conferences and training seminars. 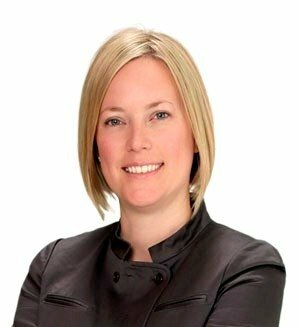 She is also an active member of the National Kitchen and Bath Association and has earned Certified Kitchen Designer credentials as a kitchen and bath specialist. She has a degree in Interior Design and has been recognized and published for excellence in interior design. In 2012 Candace had the honor of being the interior designer for the Northwest Idea House. 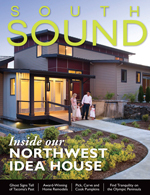 Click the image to the left to view a PDF of the feature article from South Sound Magazine detailing the Northwest Idea House.